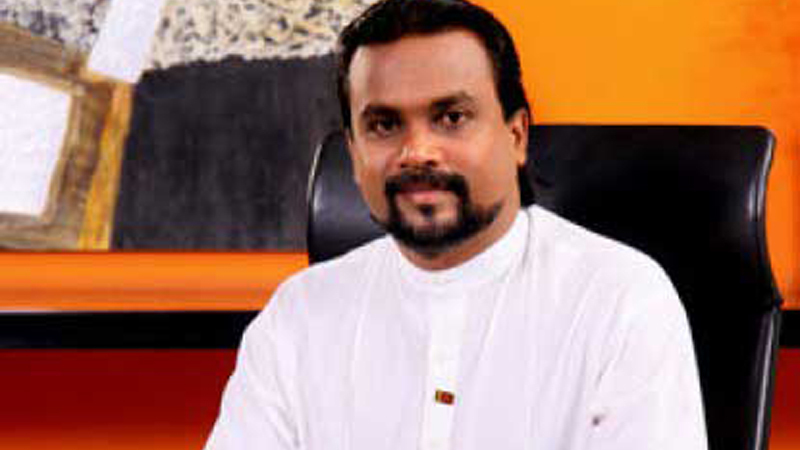 Raising a point of order Joint Opposition MP Wimal Weerawansa said that 12 MPs including Dinesh Gunawardena and himself were stuck in a Parliament elevator for over 15 minutes before measures were taken to get them out. Expressing his views regarding the mishap in Parliament yesterday, MP Dinesh Gunawardena said several attempts to obtain help using the emergency phone located within the lift, had failed. “I was first elected to Parliament in 1983, but never had to face such a situation where we were stuck in the lift for 23 minutes. Deputy Minister Ranjith Aluvihare, Chairman of the House Committee who is responsible for such matters was also in the lift. But, even he could not take any action. We pass hundreds of thousands of rupees from Parliament and at least if these lifts in the Parliament complex cannot be maintained properly and the lives of these MPs are at risk, then I urge the Speaker to look into this issue,” he said. In between the raising of concern by the MPs who were stuck in the lift, several other MPs made jokes about their plight in lighter vein, much to the annoyance of the victims of this mishap. In response, Speaker Karu Jayasuriya said he would seriously look into this issue and the relevant company representatives would be summoned tomorrow and see if a new elevator needs to be installed. Meanwhile, Minister Ravi Karunanayake expressing his views said a few months back, a similar elevator mishap happened where a person lost his life. “The President and Prime Minister both stated that there should be a mechanism where there should be those responsible for such situations. There are 25,800 lifts in the country which are not registered. Hence, we intend to bring a proposal to Parliament where it would be made mandatory to maintain these lifts annually and display the certification near the lift. Let’s start this process from Parliament,” he said.